This elegant looking actress has been acting in the television and movies for years now. She always dresses up in a way that reveals her personality. Her hairstyles are always very simple and stylish. She doesn’t mind appearing in a very simple getup. That’s why we have seen her in a simple low ponytail with all the hair tucked in on the sides. It made her look like the girl next door. She even leaves her wavy hair untied and just let it flow below her shoulders. With the hair parted in the middle, it simply looks elegant. She opts for a top updo, leaving some strands of hair on the sides and doesn’t mind getting into getting such a casual style. For a formal dinner or any event, she chooses to style her hair in a pretty way. She is seen leaving her long wavy hair on one side and giving it a shiny finish. The color is golden and very vibrant. Here’s Britt Robertson’s hairstyles over the years. 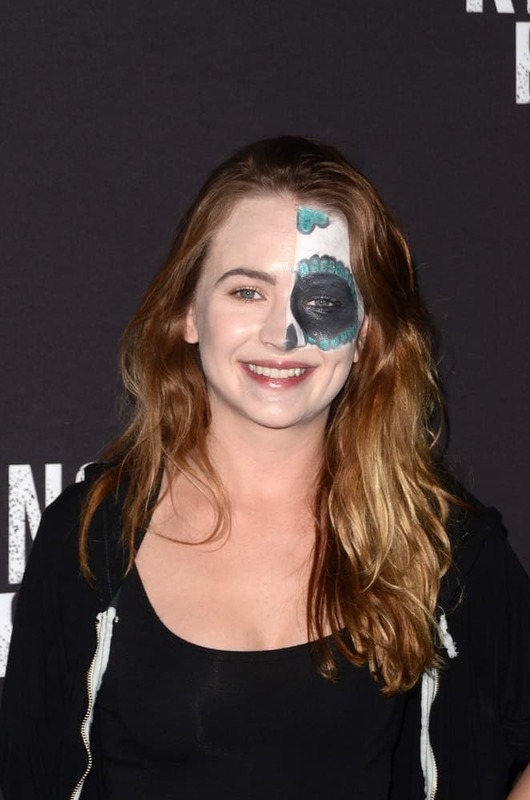 The actress simplifies her look with silky loose waves at the Knott's Scary Farm and Instagram Celebrity Night on September 29, 2017. The Space Between Us star look featured a sleek low ponytail with side-swept bangs at the "The Space Between Us" Los Angeles Special Screening on January 17, 2017. This pompadour ponytail was styled perfectly on this celeb at the MOCA Annual Gala 2015 on May 30, 2015. The young star wore her loose blonde tresses in big voluminous curls with a deep side part at the CinemaCon Big Screen Achievement Awards on April 23, 2015. The young actress pulled her blonde wavy locks tightly into a middle-parted ponytail at the "The Longest Ride" Los Angeles Premiere on April 06, 2015. In one occasion, she chose a darker shade and straightened her hair. The hair was cut in layers towards the end and it was parted in the middle. The dimple on her cheek becomes prominent with hairstyle having bangs. On one occasion she colored her hair blonde and straightened it with side bangs and it looked amazing. Though we see her in straight hair most of the times, she has also gone for the curly hairstyle. She did spirals on her hair and had side bangs. Britt Robertson started acting as a child. She started working in theatres first and then worked in television series ‘Sheena’. She got her biggest break in the play ‘Growing Pains: Return of the Seavers.’ She was seen in one of the episodes of CSI: Crime Scene Investigation. She also acted in the television series Swingtown and other television series as well. She acted in a number of films including The Ghost Club, The Lst Summer, Dan In Real Life, Cherry, The First Time, etc. There are lots of awards and nominations to her credit. She won the Best Supporting Actress at the Boston Film Festival for her work in ‘White Rabbit’. She won the Best Actress Award at the Nashville Film Festival for ‘Ask Me Anything’. She also got nominated for Teen Choice Awards. Britt Robertson is a very attractive and talented actress with lots of potentials. Her works in television and film are worth appreciating. She will be able to hold a strong place in Hollywood through her acting and beautiful smile. She is a fashion icon and an inspiration to many women.